The deadline to apply to the Muslim Youth Leadership Program has been extended to May 13th. 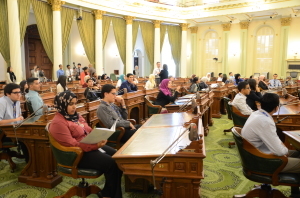 The Muslim Youth Leadership Program (MYLP) is an intensive, four-day retreat in Sacramento designed to introduce American Muslim high school students to the areas of media, law, and government–avenues that shape public opinion and public policy. Mock Legislature at the State Capitol: Serve as a senator for a day and debate important public policy issues ranging from elections, education and public safety. The application deadline is Tuesday, May 13, 2018.